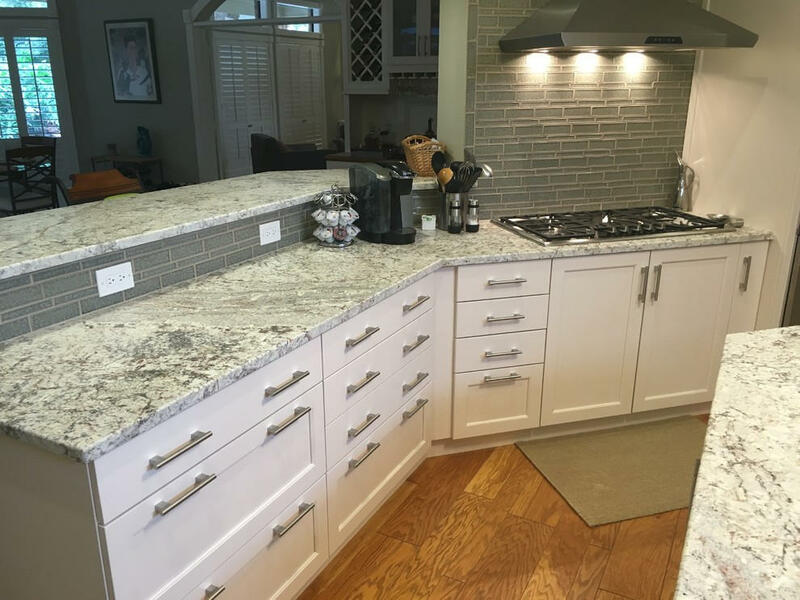 “Leather”-finished granite countertops add interest and texture, while resisting fingerprints and glare. 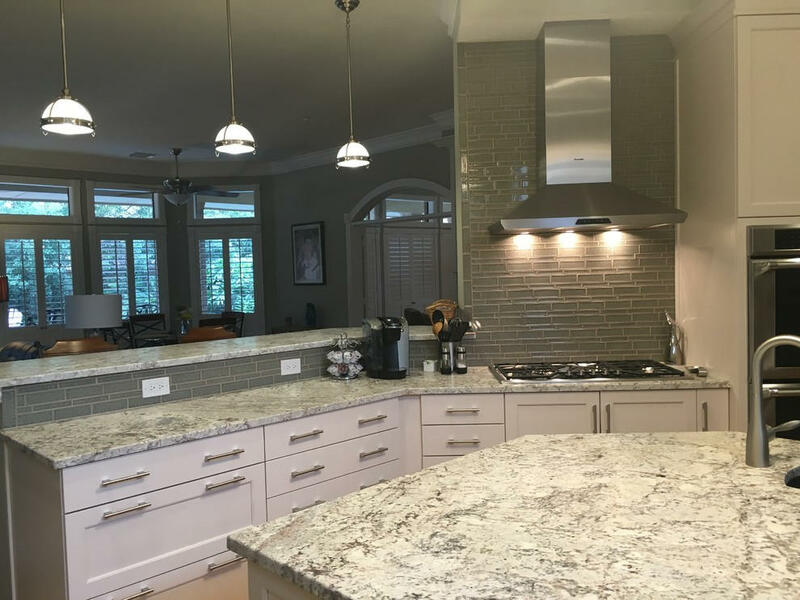 The glossy glass tile backsplashes add contrast to the leather finished countertops and satin finished cabinets. 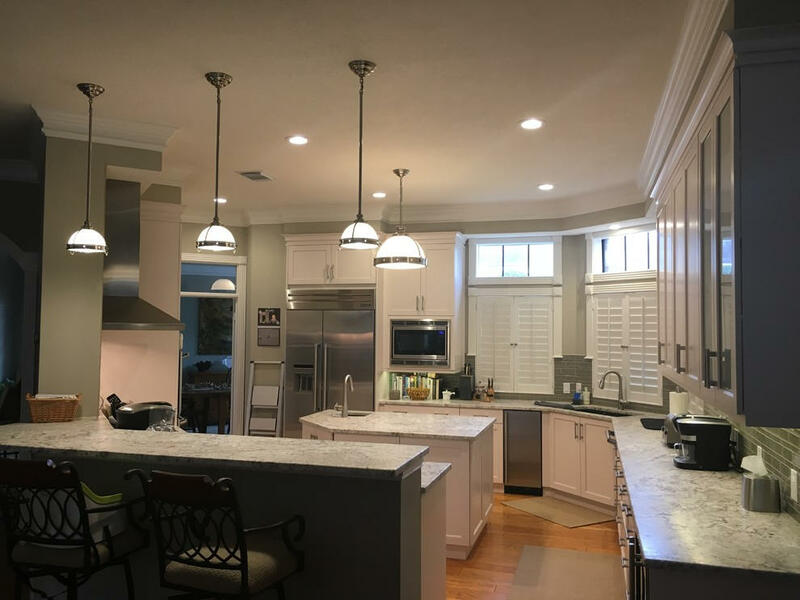 Bay Area Kitchens provided the cabinetry, and Dean Fridy, the general contractor, pulled it all together. 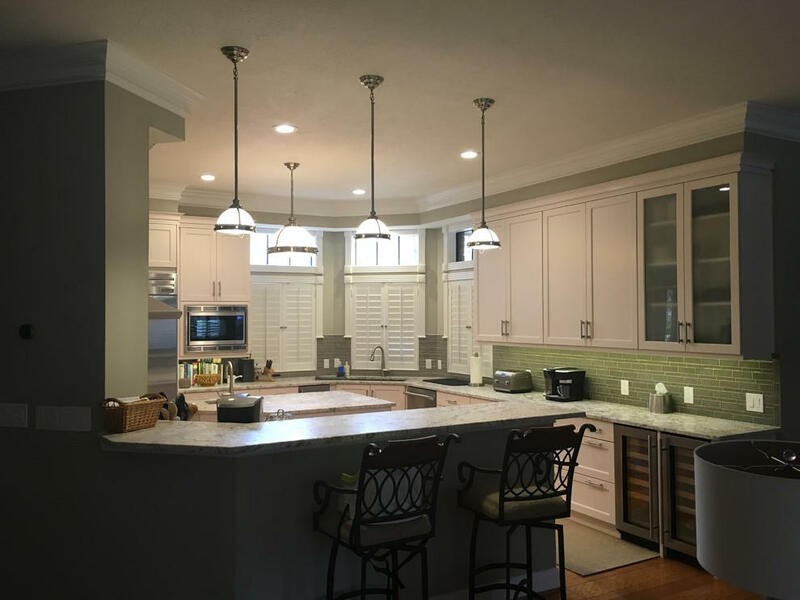 Lots of drawers located near the cooktop provide ample and convenient storage for utensils and pots & pans. 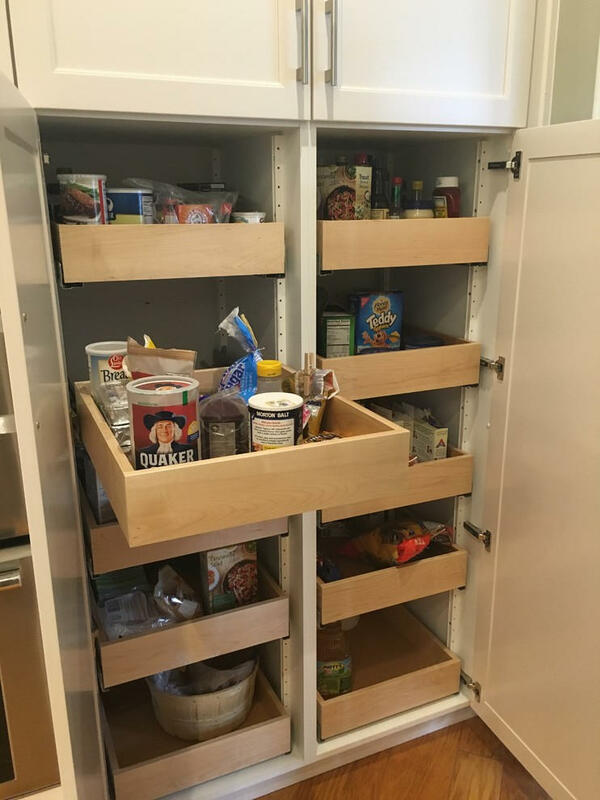 This dual pull-out pantry features ten fully adjustable, full-extension, roll-out shelves. 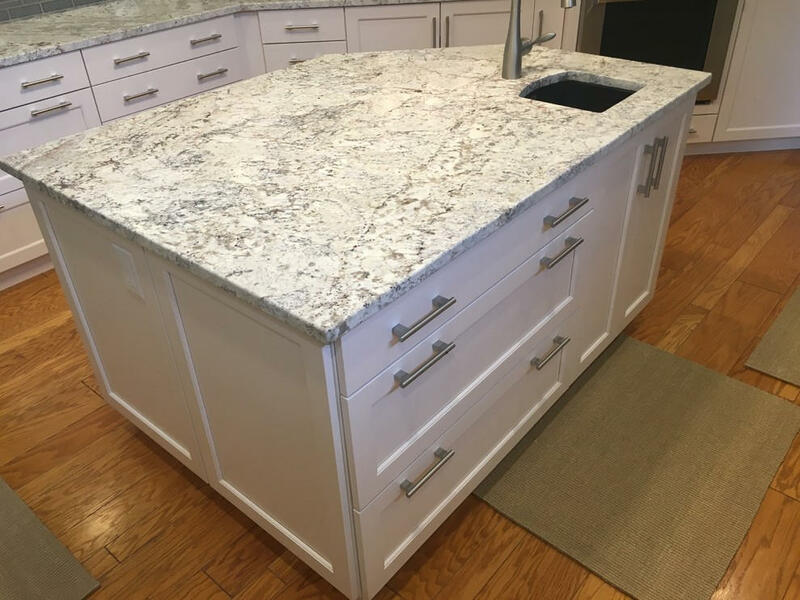 This island features three large drawers as shown here, with adjustable shelving behind doors on the other side.